Alright, my fellow Saoirse Ronan fans, how about this one? 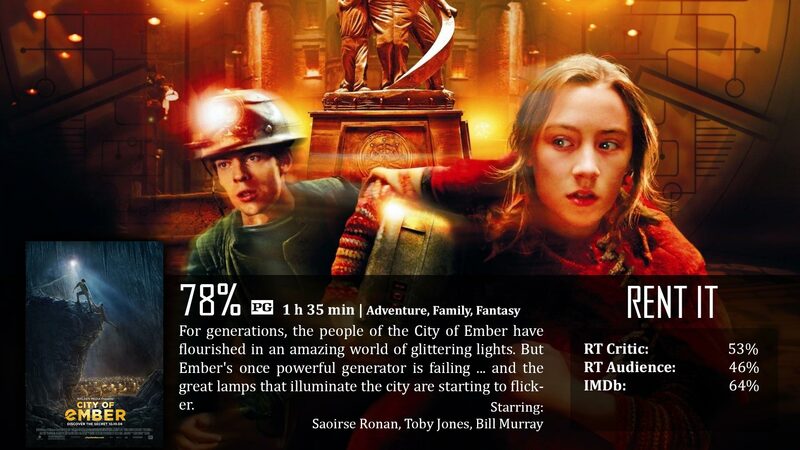 If I’m not mistaken, the film City of Ember was really where Ronan got her footing in film and was able to be the main character for once, before her fame took her everywhere else. As always, being a fan of her style of acting and film choice lead me to this one…another movie I haven’t heard of. Clearly more family oriented, City of Ember provides an interesting take on the post-apocalyptic theme that the whole family can enjoy. The “City in Ember” in question is a city that the world created that would sustain life underground for at least 200 years after the world itself ended up top. It was more or less a nuclear bomb shelter that allowed an entire city to stay alive and have families and continue living for 200 years. At the end of this time period, a box with the secret to leaving the place would unlock and everyone would go free. The problem is…somewhere around 150 years that box itself went missing, turning into more of a legend than anything else. So when their uber-powerful power generator starts malfunctioning, causing blackouts, the city doesn’t know what else to do but their job…something they’ve been told to do for the last two centuries. Unfortunately, their job isn’t good enough to keep the power on, and they are in danger of losing power forever in pitch black. As with plenty of other movies, the film is split into two main sections. 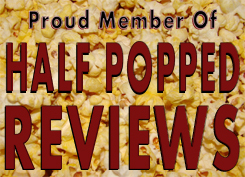 The first half of the film had a lot of character and story development. We’re talking about two hundred years of fictional history going on here. Rules, jobs, and ways of living that just wouldn’t make sense without an explanation. The whole lining up the kids to give them jobs as a ceremonial event is definitely weird, but it fits. Even the jobs are strange. Lina has the job of “messenger”, which is pretty much a mix between mailman and e-mail. I understand the lack of technology and network leaves you no e-mail, but I couldn’t figure out why her job wasn’t just mail-man…people could still write, couldn’t they? She basically was the middle man that relays information to other people…like a telegram. The second half dealt purely with the adventure and mystery. It plays out like a treasure hunter film. You find clues and unlock secrets over and over again until you finish the puzzle. Not that difficult to imagine, but I guess it all depends on how it is done. I would definitely say it is done interestingly enough, thanks to the whole post-apocalyptic underground city aspect, but I thought creativity was lacking a bit in the clues. I wasn’t really super impressed with the clues…maybe one or two were pretty cool, the rest were just…okay. Maybe that’s because this is a family-oriented film. They are restricted to do only this and that…so maybe it’s not completely their fault. There was a couple of things I definitely didn’t like about this film, nor thought necessary. First of all…Bill Murray’s character. I know, blasphemy. He did great in his role, respectfully, but his character just wasn’t needed. We had enough to worry about already with the failing infrastructure of the city and impending doom. It’s just this whole idea that family movie’s need a clear and present threat of good vs. evil when they don’t. The other thing I didn’t like nor thought necessary was the giant bugs. They barely even play a major role, they just…are. I don’t even understand why they are big. Are they big because they are underground and bugs underground are big, or is it because when the world ended there was a nuclear fallout with radiation that stereotypically altered the bugs DNA? What is it? I would have at least liked to know that…unfortunately we aren’t told, and all we get are giant bugs that randomly roam around. The acting was decent, but the characters were rather forgettable. An unfortunate fact for Ronan, but thankfully we are in the margin of error state. She still picked a different kind of film as she always does, and acted her heart out, but personally….I don’t think she really showed everyone what she was made of until The Lovely Bones and Hanna. The premise is strange, but strange in a good way. It’s different enough for the whole family to enjoy for entirely separate reasons. It’s adventurous and you actually want to see how it ends. In the end, you might find this film more forgettable than it should be because of the flaws it kept running into. The big bugs and Bill Murray’s character were honestly unnecessary and the characters were mediocre. A problem many family-oriented films run into. Also…did the end of the world not have any other nationalities? Seriously…that’s a lot of white people. Loris Harrow: Lina and Doon tied their hope to a rock and tossed it down toward the city.